You have a website blog with WordPress.com and Google.com is now displaying the message, “This site may harm your computer.”? Pay attention to that < HACKEDLINK> reference because that’s you first big clue! 3. 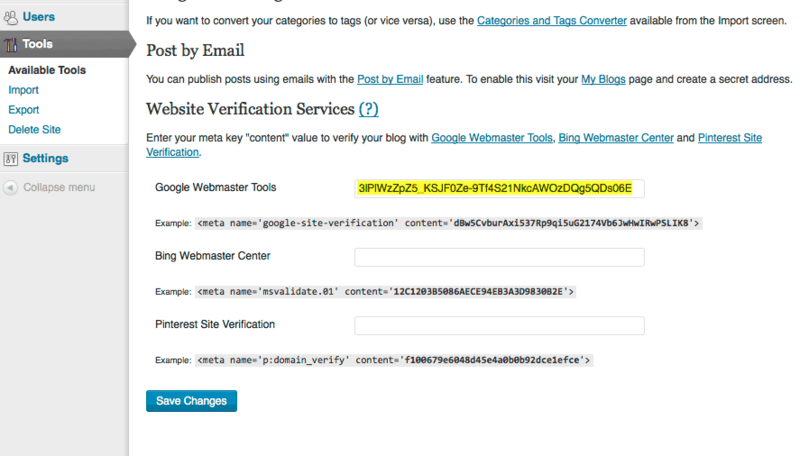 Verifying your WordPress.com blog within Google.com webmaster tools is far easier than you might think. Copy that text, shown in yellow above, then jump back to your WordPress.com blog. 4. After adding that chunk of text into your blog’s Google Webmaster Tools entry box, then “Save Changes”, and wait about 30 seconds. Jump back to your Google Webmaster account and click the verify button. Click Security Issues and review summary. Then click Request a review. If all goes well, your site will be clear of “This site may harm your computer.” messages within 24 hours.